In the few days since President Trump issued his Executive Order on National Monuments , many legal scholars have questioned the legality of his actions under the Antiquities Act. Indeed, if the president attempts to revoke or downsize a monument designation, such actions would be on shaky, if any, legal ground . 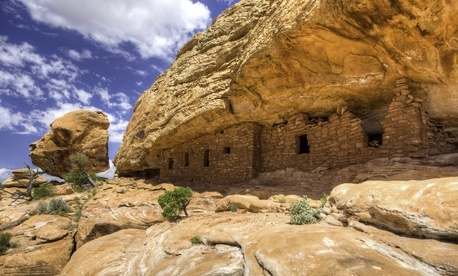 The Antiquities Act has long been used to protect important archaeological resources. Some of the earliest designations, like El Morro and Chaco Canyon in New Mexico, protected prehistoric rock art and ruins as part of the nation’s scientific record. This protection has been particularly critical in the Southwest, where looting and pot hunting remain a significant threat . Similar interests drove the creation of several monuments subject to Trump’s order, including Grand Staircase-Escalante National Monument , Canyon of the Ancients National Monument and Bears Ears National Monument . Thus, any changes to those monuments mean less protection for – and less opportunity to learn from – these archaeological wonders. This national investment in cultural collaboration brings great value – a value utterly ignored by Trump’s order. 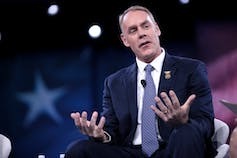 In fact, under that order, Bears Ears faces an expedited (45-day) review because, as Secretary Ryan Zinke noted in a recent press conference , it is “the most current one.” Though the order includes opportunity for tribal input, the Bears Ears inter-tribal coalition has yet to hear from Secretary Zinke , notwithstanding numerous requests to meet. 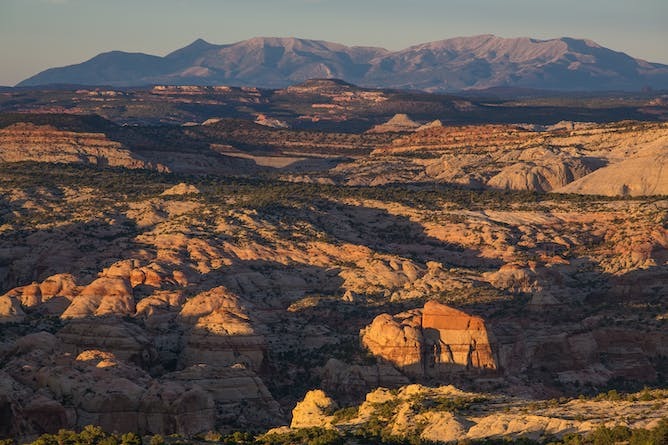 Within the protective reach of a national monument, we are also likely to find important stretches of land officially designated by federal agencies as protected land, such as scenic wilderness, wilderness study areas , the Bureau of Land Management’s areas of critical environmental concern ( ACEC ) or the Forest Service’s research natural areas ( RNAs ). Each monument’s care is thus interwoven with the management of these other ecologically designated areas, something plainly apparent to the communities and agency officials long working with these lands. The monument contains a National Wild and Scenic River corridor and segments of the Lewis and Clark and Nez Perce National Historic Trails, as well as the Cow Creek Island ACEC. It is the “fertile crescent” for hundreds of iconic game species and provides essential winter range for sage grouse ( carefully managed to avoid listing under the ESA) and spawning habitat for the endangered pallid sturgeon. Archaeological and historical sites also abound, including teepee rings, historic trails and lookout sites of Meriwether Lewis.